How do IB students balance their time as students and after graduation? We spoke with Diploma Programme (DP) graduate Mythili Zatakia, a professional dancer and entrepreneur who received her diploma while pursuing her love of sports and the arts at the B.D. Somani International School, India. Read on to see a film of her performances and learn how she founded the journalism network SHOUT! The Diploma Programme (DP) at B.D. Somani International School challenges students in more ways than one. DP graduate Mythili Zatakia took on these challenges in addition to running track and embarking on a professional dance career. She embraced the strong community created by the DP within her school and worked hard to personalize her courses to align with her interests. While a student, Mythili had a busy schedule that was filled with practices, meetings and rehearsals. Because the DP created a strong and supportive community of students balancing course work and activities, Mythili was not alone. Her friends and teachers helped her approach the DP with confidence, take risks and ultimately become a successful performer, athlete and student. “There were a lot of us who were pursuing many different things” she told us. Mythili Zatakia is a DP graduate of B.D. Somani International School, India. Photo: @themythicalzatak. This shared mindset helped give her a positive perspective on the hard work: “I think in one way, pursuing dance only enhanced … my academics because I knew I was going to be short on time.” With a supportive DP community around her Mythili rose to the challenge. How far does an IB education reach after graduation? Even though she graduated in 2012, Mythili still holds the values she learned through the DP close at hand and believes they are as relevant to a professional dancer and athlete as they are to a student. 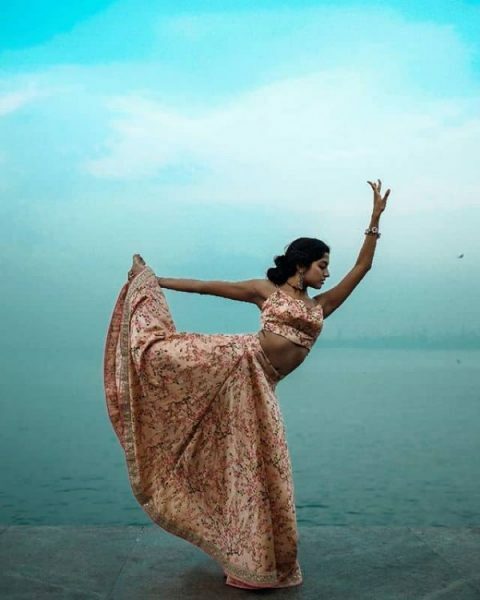 Above: Mythili appers in the film “On My Feet” directed by Aanchal Kalra, tracing the evolution of an Indian Classical Dancer. Give Mythili a SHOUT! by following her on Facebook, Instagram and Twitter. To hear more from Diploma Programme (DP) graduates read these IB programme stories. Share your IB story by writing to alumni.relations@ibo.org.